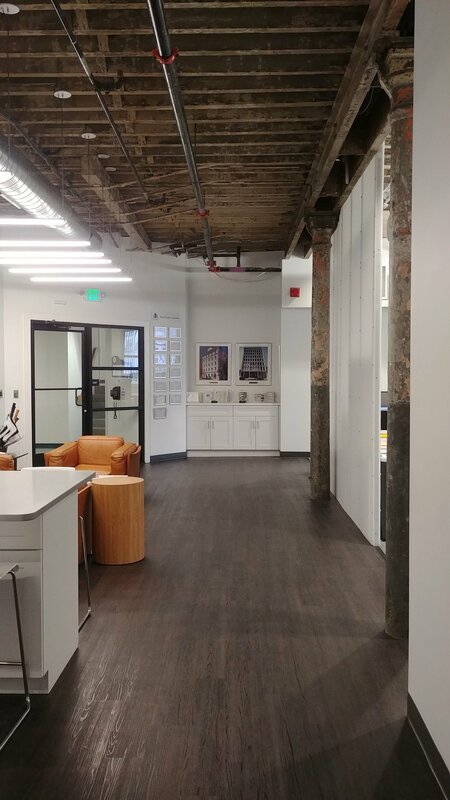 Studio 6mm worked with AMC Delancey Group to renovate approximately 4,000 square feet of office space on the fourth floor of the Cast Iron Building in Center City Philadelphia. When we first visited the project site, we found what appeared to be a seemingly innocuous interior that harkened back to the 1980’s. Given that the building was constructed in the early 1900’s we had a hunch that there would be treasures behind the walls. Our instincts proved to be true. The demolition phase exposed long-hidden brick piers, cast iron structural components, and even a number of union posters that had been hanging on the walls since the 1920’s. 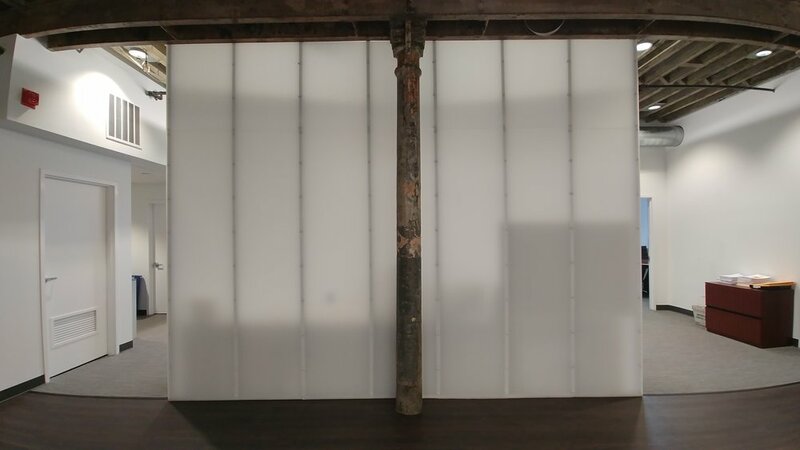 The project worked to restore those long-hidden pieces of history and to highlight them with newly installed partitions with materials from today. Glass panels enclose private offices on the perimeter of the space and a number of translucent walls were added to allow for a copious amount of light between interior spaces. Artifacts uncovered during demolition were preserved and highlighted in the finished project. They have since become a central feature of the design and are easily the most talked about relics in the new office space.